Are you exhibiting at a trade show in Columbus? Do you need assistance creating a spectacular trade show display? Metro Exhibits can help. We provide purchase trade show displays, rental trade show exhibits and much more to satisfy all of your exhibiting needs in Columbus, Ohio. 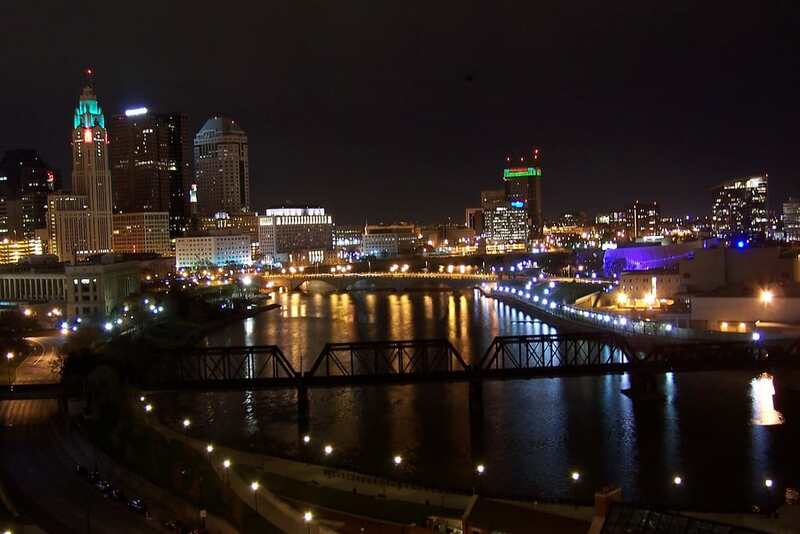 Columbus is the capital and largest city of the U.S. state of Ohio. The city 14th-largest city in the United States, with a population of 860,090 as of 2016 estimates. Columbus is also the third-most populous state capital in the United States, and the second-largest city in the Midwestern United States, after Chicago. The city has a diverse economy based on education, government, insurance, banking, defense, aviation, food, clothes, logistics, steel, energy, medical research, health care, hospitality, retail, and technology. Columbus is also home to the Battelle Memorial Institute, the world’s largest private research and development foundation. The Ohio Expo Center is the premier location for trade shows, expo’s and conferences in the area. With over 1 million square feet of space this location offers a great variety of event options. Additionally, this venue offers 14 different sized buildings and expos centers. Midwest Vapor Expo Eastern Ohio Quarter Horse Show, The Columbus Toy and Collectible Show, Columbus Paper Postcard and Book Show, ULE’s Body Mind Spirit Expo, Learning Education Expo, Ohio National Poultry Breeder Show. At Metro Exhibits we understand the needs of companies and organizations to stand above all others. Branding, the practice of building a lifelong preference amongst consumers to choose and patronize your company, is of crucial importance. At trade shows exhibits and conventions in Columbus, OH, the ability to make an impression that will separate you from your competition is our goal. Metro Exhibits provides the best physical representation of your brand possible. In Columbus, as in other cities around the United States, we offer a full complement of trade show and convention services. We will work with you to create and design unique trade show and exposition booths, displays, and corporate spaces. Contact Metro Exhibits us to learn more about Columbus trade show rentals, sales and other trade show support services. The Ohio Expo Center is the premier location for trade shows, expo’s and conferences in the area. With over 1 million square feet of space this location offers a great variety of event options. Additionally, this venue offers 14 different sized buildings and expos centers. The location is also located just outside of Columbus and within walking distance of downtown. Finally, the expo center is located only 20 minutes from the airport making it ideal for travel. For more information look here. The Hyatt Regency is another location within Columbus for trade shows and expo’s. With 70,000 square feet of space this location is great for smaller shows and conferences. Additionally, this downtown location is key for witnessing the heart of Columbus food and culture. Finally, being located within the hotel overnight stay is made easy with just a short walk to your room. For more information look here. Ohio Black Expo, TrotCon, Wizard World Comic Con, Naco Conference and Expostion. Contact us today to review your needs for trade show display purchase or trade show exhibit rentals for your next trade show in Columbus, OH.